I love having unique spreads and sauces in the fridge that I can just grab at in the event that whatever I happen to be eating needs some extra flavour or texture. If you’re the same way, you probably took notice to the fact that it’s near impossible to get your hands on a spread or sauce that doesn’t contain sugar, vegetable seed oils or soy, along with a handful of other unwanted preservatives. I stopped looking and decided to take the initiative to make my own. The only downside to this is that I generally have to make everything in small batches, otherwise there is bound to be some waste. For instance, you can count on the sauce lasting a few days before the asparagus starts to do some funny things. As with the traditional basil pesto though, you can always freeze leftovers in ice cube trays and thaw a few asparagus pesto cubes when you need them in the future. If you are new to the whole idea of using spreads and sauces like pesto, you’re probably wondering what they can be used on aside from a good old Paleo burger. Well, there is nothing easier than grilling up any type of meat or fish and smearing it with something already made awaiting its use in the fridge. The asparagus pesto is delicious on a burger, but I happen to like it best atop a nice piece of grilled sea bass. You can also use it as a tasty dip alongside some kale chips or sweet potato wedges. There are very few ingredients needed for this recipe, which makes it a lot easier, especially when you’re in the situation where you’ve run out of the sauce and must have some in order to enjoy your meal to the fullest. You can literally whip it up in a few minutes. Also, you can always use a different kind of nut, or even a combination of a few. I’m sure you’ll get great result using roasted hazelnuts, or even pine nuts, as with the traditional pesto. Macadamia nuts, while often on the expensive side, would also be great and are the healthiest nut to consume. While we are on the topic of ingredients, know that I am giving you the portions that would make more than enough for four servings, if not five or six smaller ones. Use this as a gauge when deciding how much you want to prepare. This great sauce must be kept refrigerated since you’re using fresh ingredients. Even despite this, as I already mentioned, it’s not something that lasts more than a week. 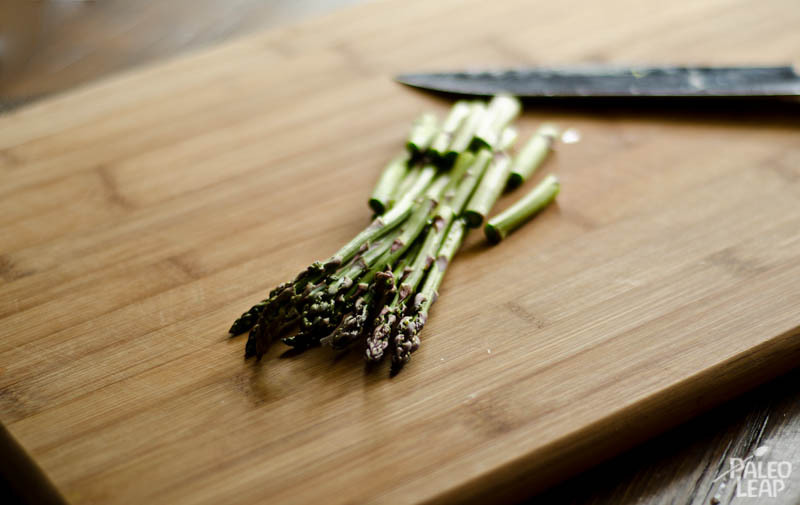 As it ages, the asparagus will cause the spread to discolour and it will become more of a runny liquid. Just make sure you enjoy every bit before it gets to this point! In a small saucepan over a medium-high heat, bring some water to a boil. Add the chopped asparagus. Cook until slightly tender, about 1 to 2 minutes. Remove from heat and strain the excess water by pouring into a colander. 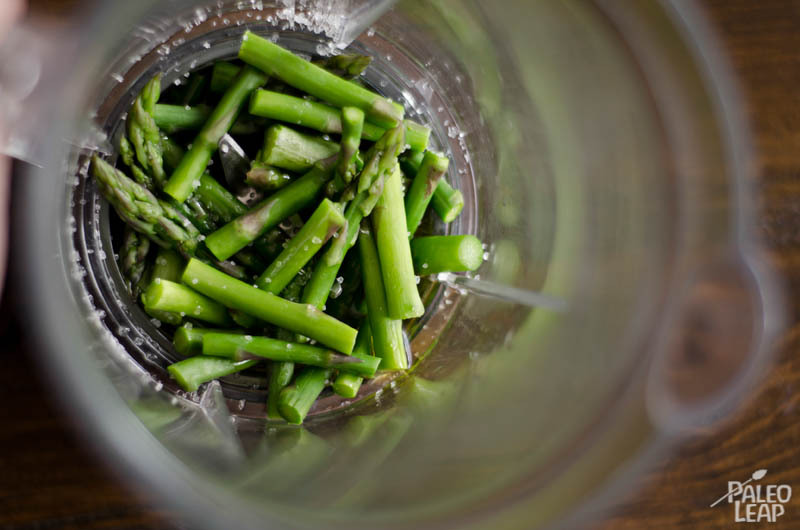 At the same time, run cold water over the asparagus to completely stop them from cooking. Do this for a minute or two, until they are cold. This process helps to keep the asparagus crispy instead of mushy. 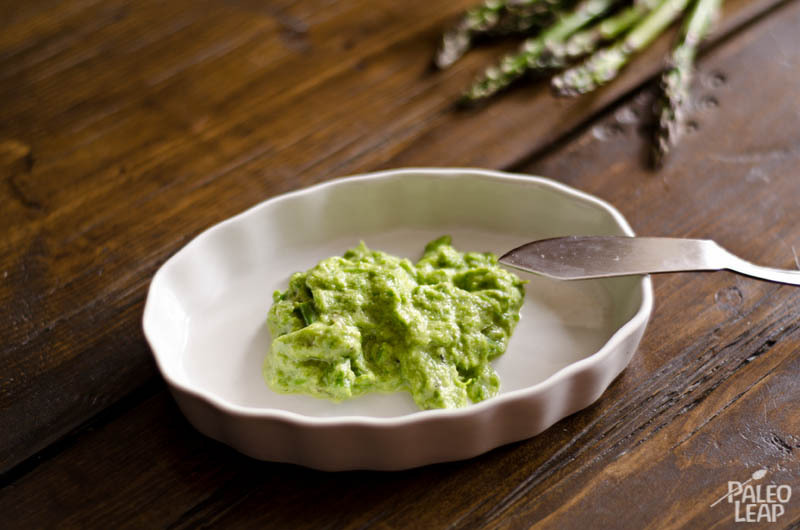 In a small blender combine the asparagus with the remaining ingredients. Blend until you achieve a desired texture. Store in a sealed jar in the fridge when not using. For added taste, you may make it a bit more of a traditional pesto by adding a few tablespoons of Parmesan cheese if you include dairy in your diet.